Our hands and nails are always on the show and exposed to scrutiny. Nothing looks better than well-maintained nails with carefully chosen polish. What is even more captivating are hands that have the perfect nail polish to match your style and personality. With our Elite Spa Manicure, not only will you enjoy healthy and youthful-looking hands, you also get to make a statement by choosing our brightly colored nail polish. You can choose from an array of colors that will best reflect your style and personality. You can go for your favorite color or try more daring shades. There’s no limit to what you can express with your nail polish. Choose your own brand of unique with the perfect shine, glitter, or sparkle of any of our brightly colored polish. Do not limit yourself to dull or safe colors in your next mani. Be free to discover and explore your own unique and distinctive sense of style when choosing a color for your nail polish. 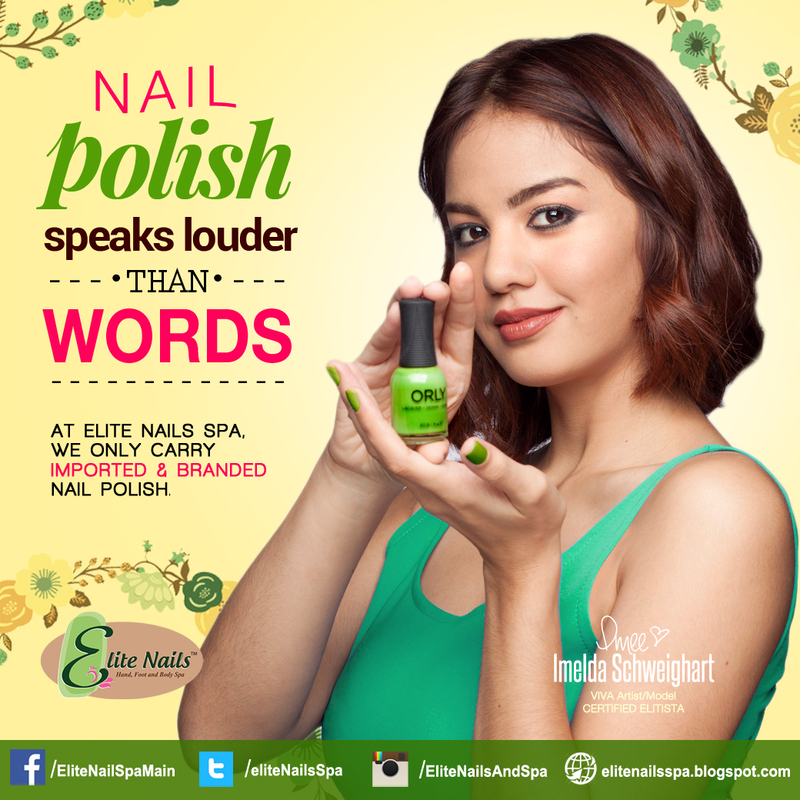 Be chic and glam with Elite’s brightly colored nail polish. Schedule an exciting mani session today and embrace your daringly unique side!